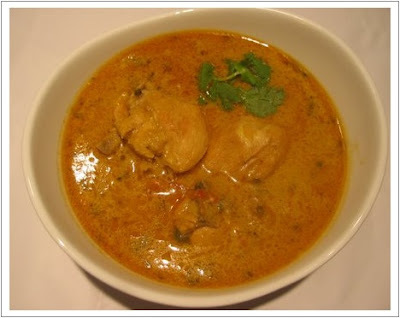 Discription:This is tasty chicken gravy.Try it and Enjoy!!! Add the chopped onions,whole spices,mint & coriander leaves and salt and cook till translucent. Add the ginger garlic paste and fry till lightly browned. Add the tomatoes ,chili,coriander and turmeric powders.Mix well and cook till tomatoes are soft. Add the chicken pieces and 1 cup of water.Bring to a boil.Reduce heat ,cover and let it simmer till the chicken is well cooked. Remove lid, add the coconut milk and simmer for about 3 mins.